History is replete with "firsts" and the myth-like qualities ascribed to the people involved. Neil Armstrong, the first person to set foot on the moon, is probably one of the most recognizable of them in recent history. Damien Chazelle's new movie First Man, released Friday, chronicles the man behind the moon landing, intertwining his personal life with his missions. It's a story that resonates with astronauts today, as their personal challenges often go hand-in-hand with those of their jobs. Thursday's launch abort of two astronauts on board the Soyuz rocket on the way to the International Space Station was a reminder that — just as in the 1960s — space travel is still hard. There are inherent dangers with strapping yourself into a vehicle with tons of propellant that could explode uncontrollably. Though Armstrong's moon landing story is well-known to the public, he had two close calls before heading to the moon: in 1961 his rocket-powered X-15 plane almost bounced off the atmosphere, nearly sending him into space forever. Then in 1966, he was almost killed again, this time with fellow astronaut David Scott after their Gemini 8 mission went awry in orbit and they were forced to abort. While the record for getting people into space and back safely is excellent (18 have perished out of more than 500 who've gone into orbit), there's always the chance that something could go wrong. The loss of seven crew members in the 1986 Challenger shuttle explosion, and the loss of seven more after the shuttle Columbia disintegrated in 2003, were likely the worst reminders the public had of that fact. In the film, Armstrong is attempting to cope with the death of his two-year-old daughter, while still being a father to two boys, and a husband. He also deals with the tragic deaths of three fellow astronauts. This serves as a reminder that the men and women volunteer to head into space today face personal challenges that are far from the public eye. Scott Kelly, who was part of NASA's One-Year Mission in 2015, knows the stress going to space puts on a personal life: In 2011, his sister-in-law, congresswoman Gabrielle Giffords was shot while he was serving on the ISS. He recalled the event in his book Endurance saying he felt helpless. Following the shooting, going back to take part in the One-Year Mission was a difficult decision. 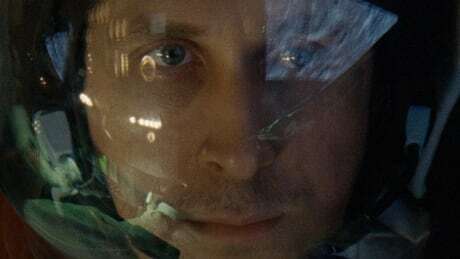 "The hardest part for me was dealing with this idea that if something happened to my family on Earth, I couldn't come home," Kelly told CBC News last year while promoting his book. "It's not the personal risk … it was this idea that you kind of feel helpless." The personal challenges are something that Canadian David Saint-Jacques, who is scheduled to launch on Dec. 20 (pending the result of an investigation into the Soyuz malfunction), is keenly aware of. "It's not only the job: it's the family, it's the friends, it's my parents," he said of the training. "I have to make sure I remain in balance, I remain who I am. And that's the only way I can be my best as an astronaut." At the gala opening of the film at TIFF, Neil's two sons were on hand. They, too, were thrust into the spotlight after their father's trip to the moon. "I've often been asked what it's like to be the son of the first man on the moon, and this movie answers that question," said Neil's son, Mark. "We were an ordinary family thrust into extraordinary circumstances."